First you need to create a new document. This document will have a 1200 pixels wide and 800 pixes high. Landscape oriented dimension work best for this particular project. Now we will setup the background. 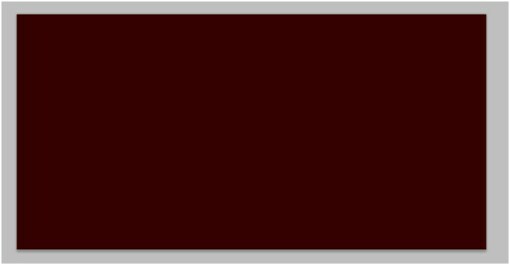 Select a dark reddish color and fill the background layer as shown below. 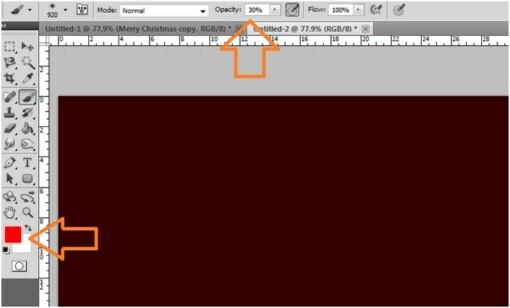 Next, select a warmer and brighter red color and then use the brush tool. 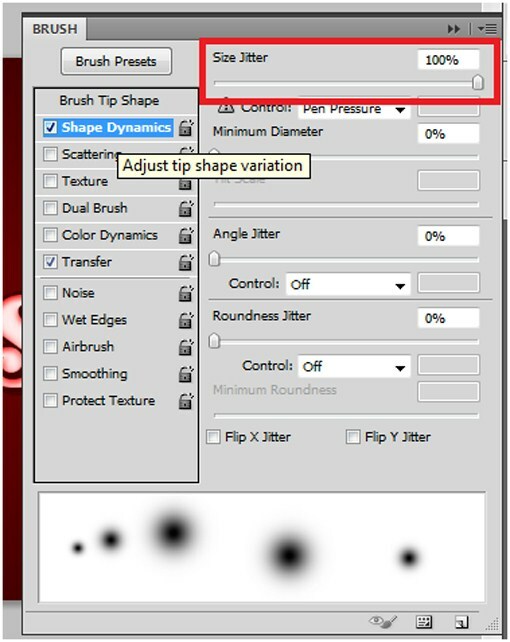 Before you start painting, modify the brush size by right clicking on any area of the workspace and adjusting the brush size by moving the parameters up or down. 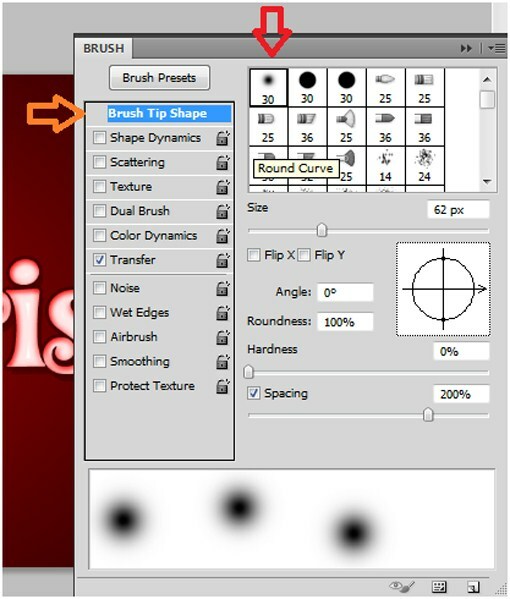 Move the brush size to about 900+ pixels. Set the brush opacity to 30 percent. Now paint the center portion of the image. Make sure you get results close to this one shown below. 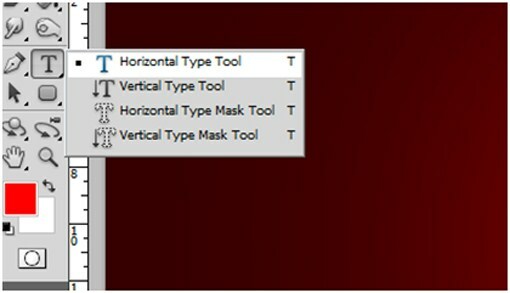 Now locate the Type Tool on the tools palette. Select your font, it also preferred to use a font which is fat and bold. 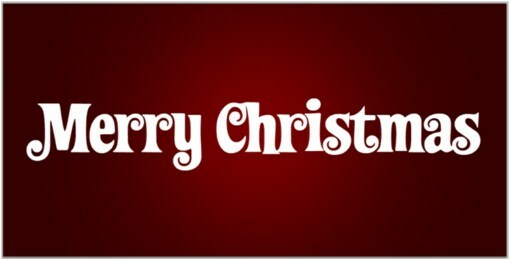 The following text effects that we will be using later on are very effective and attractive on a bold font face. For example, the font type called the PerwinkleFancyJF, a free font type, is quite nice to look at when you apply these text effects. 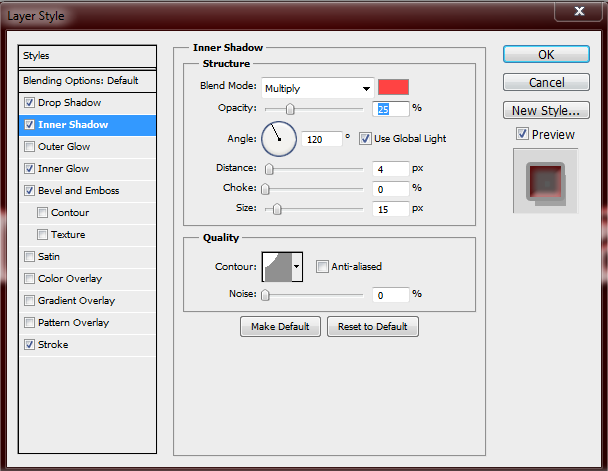 Next, create text using your chosen font, and size the text object to be approximately the same size as in the image. 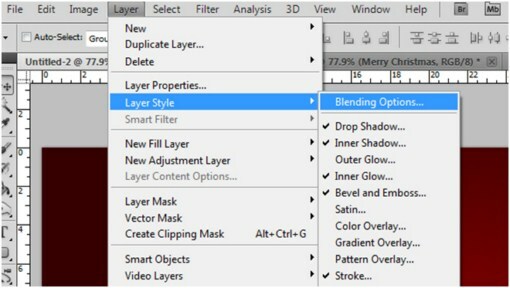 Now go to Layer > Layer Style > then click on the Blending options. Here we want to check the Drop Shadow box, choose the solid black color, change the blend mode to multiply, set the opacity to 25%, change the angle to a 120 degrees, set the distance to 10 pixels, and leave the spread and size at zero. Make sure your settings looks the same as mine do here. Next we need to add an Inner Shadow by checking its box. 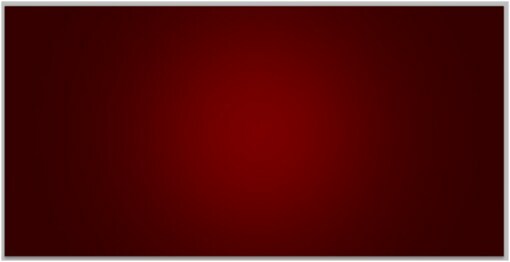 Set the following as instructed, blend mode to multiply, color is something close to pink or light red, opacity to approximately 25 percent, angle of 120 degrees, and set the Contour using the shape just like the one on the image below. Do not forget to fix the distance to 4 pixels and the size to 15 pixels. Leave the choke at zero. 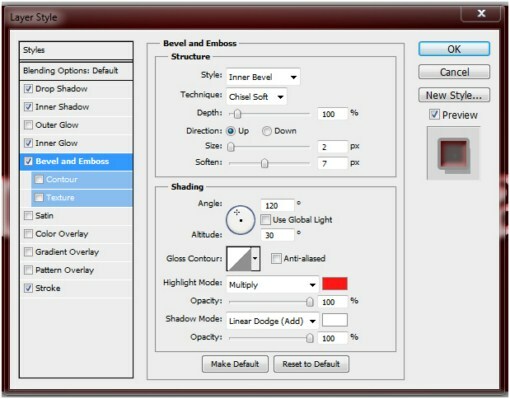 For the Inner Glow settings follow the parameters shown below. Be sure to check every single box and settings bar to achieve the effect for your text. At this point you should be able to see the text effect for this project. 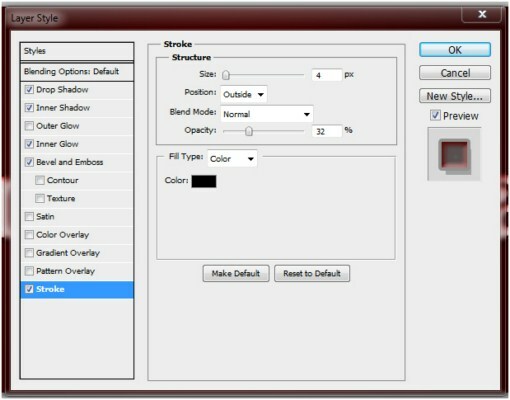 Lastly, apply a stroke style by checking the Stroke box. Try to follow the settings, but if you wish to experiment, you could try different settings to achieve your ideal effect, not only for this layer style but also with the other layer styles. You could even add some other styles and try some other options later on for other projects. 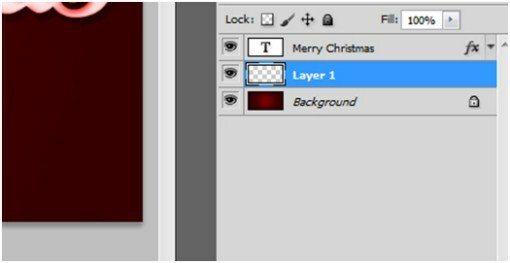 Create a new layer between the background and the text layers. Go to Window > and click on the Brush Option. 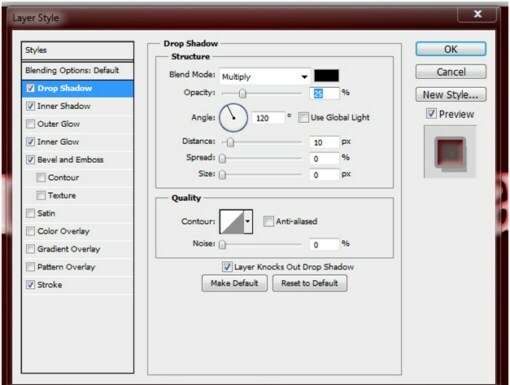 A window will open up showing the options and settings you can do for your brush. 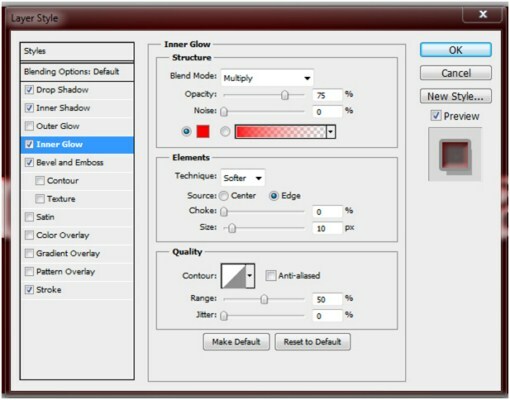 Select the brush on the very first box shown. Make sure that you click on the Brush Tip Shape. 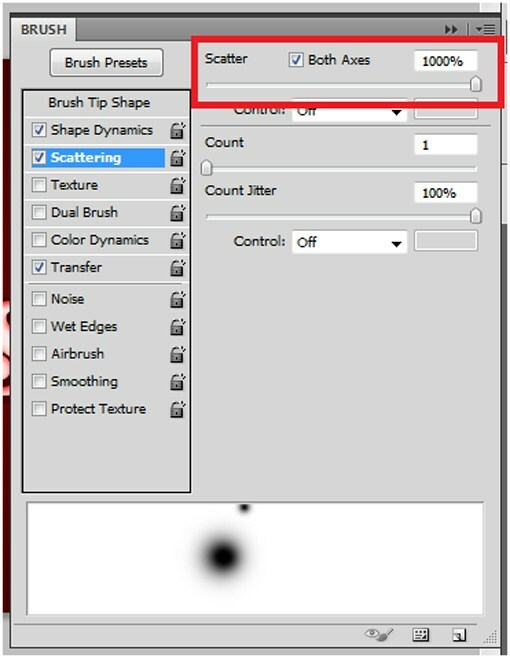 Enable the Scattering box, and then set the Scatter to 1000 percent. Also check the Both Axes box. Now paint over the entire image as if you were drawing snow. Finally, draw snow on the bottom part of the image. This is optional but this will help to create a sense of falling snow. You can also add other elements and stock images to your project if you wish to. 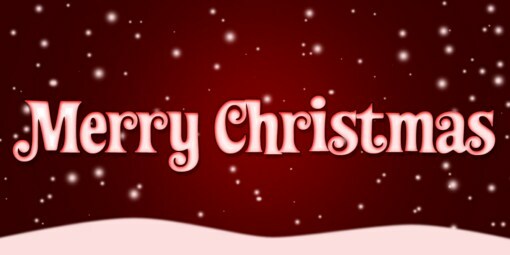 Have fun creating your holiday images and please share your creations with us in the comments.